We’ve all been there. The everyday things that are a part of our lives, that we pay close attention to at first, we stop noticing over time. But as a designer, it’s up to you to look at those everyday things, go one step further, and find ways to improve them. How can you avoid habituation, the habit of getting used to things? 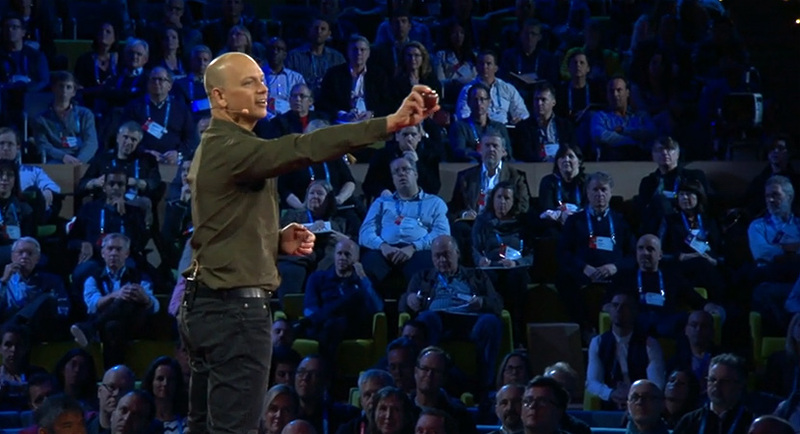 At this year’s TED event, Tony Fadell spoke about the opportunities everyday things bring in his The first secret of designing is…noticing talk. By noticing the little details, the invisible problems in the everyday things around us, Fadell says we can fix them and improve the user experience. One of the “invisible problems” he shared in his talk was the story of Mary Anderson and how she invented the windshield wiper. In 1902, Anderson was traveling in a streetcar in New York City. It was a cold, wet, snowy day. Anderson noticed the streetcar driver opening the window and leaning out in the rain to clear the windshield of the snow. When he opened the window, cold air came inside, making everyone uncomfortable. There had to be a better way to keep the driver safe and passengers warm. And as she sat in her seat, Anderson began sketching the first windshield wiper. Think broader: take a step back and look at everything. Can something be removed or combined? Look closer: look at the details, are they important? Or is it the way it’s always been done? Think younger: Have young people on your team, or people with young minds. Look at things as a beginner would. Look at the everyday things around you, with the eyes of the beginner, the new customer. What can you do to improve their experience?